You probably didn’t know I am slightly obsessed with Sprinkles Cupcakes. This is my secret. I’ll bend my no-sugar rule for a taste of their frosting! I don’t get to Sprinkles often but when I do, it’s always worth it. I do, however, like to eat frosting often. This has made me all the more pleased when I found a natural butter alternative to eat frosting in a healthier way. It’s Earth Balance Butter that is soy free. It’s like butter, but not butter and without the bad stuff. 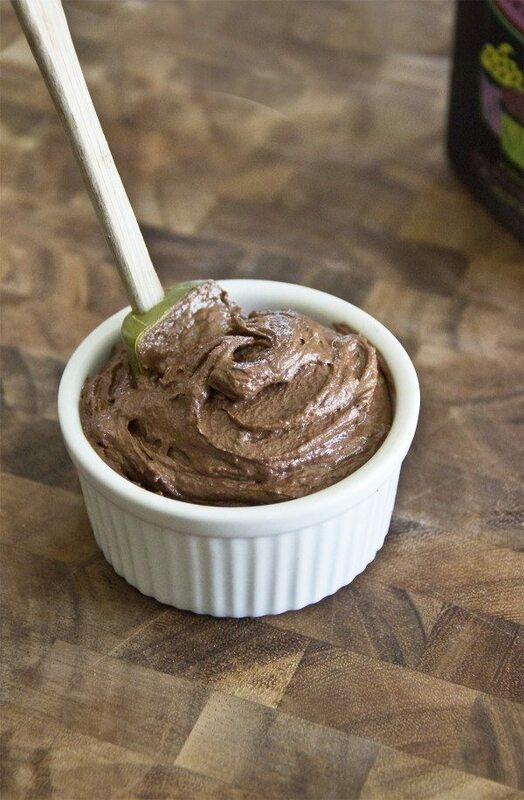 It’s creamy and makes the most amazing vegan chocolate frosting. This buttercream, combined with a delicious natural coconut sugar rivals even bakery frostings. I think coconut sugar makes THE BEST chocolate frosting and this butter free version is no exception. This is as good as that stuff we all covet at bakeries like Sprinkles. And yet this is totally dairy-free, soy-free, refined sugar-free, vegan buttercream frosting! I hope you enjoy this on anything and everything. 1/8 teaspoon Natural Butter Extract, optional, but highly recommended! In a blender or food processor, blend up the coconut sugar until it is a smooth powder. Dump the sugar in a small mixing bowl. Add the earth balance butter and salt and cream until smooth and combined. Add the cocoa, vanilla extract and butter extract if desired and beat. Add the rice flour and combine. If you want to use this to pipe or you just like a thicker frosting, you can add an extra 1 to 2 teaspoons of flour and place in the fridge to firm. Enjoy immediately or store covered in an airtight container in the refrigerator. Makes a scant 2 cups of frosting or enough to frost 10-14 cupcakes, depending on how much frosting you like. HI. In the Vegan Chocolate Buttercream Frosting what is the difference between the earth balance butter and the natural butter extract? And what is the purpose of the extract? 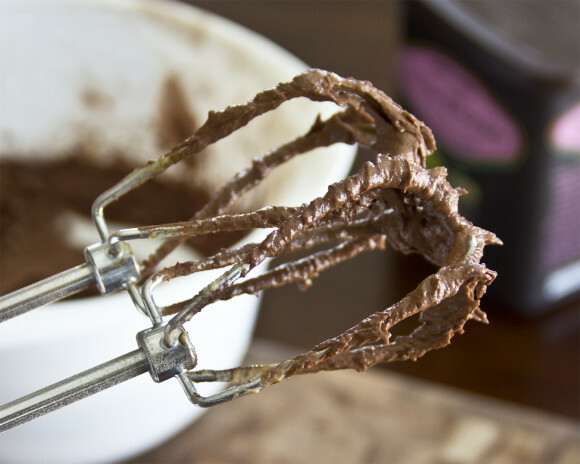 Can you use this recipe as is and omit the chocolate IF wanting to make a white frosting? Earth balance butter is a vegan butter that has a buttery flavor, but isn’t as strong a flavor as new vegans are used to. The butter extract is added to enhance the buttery flavor for a more authentic buttercream. 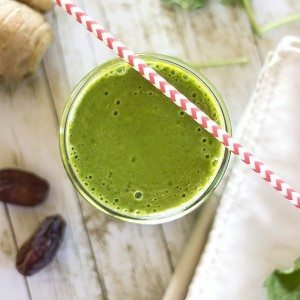 If you are not new to vegan foods or just don’t want to use the extract, you can omit it. We have not made a vanilla buttercream from this recipe and if you do so, you would need a lot more flour and sweetener added to replace the cocoa. If you would like a white frosting, we would suggest this frosting- it’s a vegan cream cheese flavored frosting but tastes delicious on everything! Thanks for commenting. I hope those help! Also, coconut sugar isn’t the best sweetener for vanilla frostings, so you would want to change out that sweetener as well if you tweaked this recipe to be a vanilla flavor. Can I use just plain organic butter to replace the recipes amounts for the, Earth balance butter & the butter extract? Oh yes what is coconut butter? The flavor is similar in both and everyone who tries the traditional recipe loves it! Coconut butter is literally ground up coconut meat/shreds/flesh. It is the white part of the coconut that get blended up into a butter, just like peanuts become peanut butter. It is different from coconut oil! Coconut oil is just the oil from the meat portion of the coconut. I hope that helps. Thanks! While I appreciate you taking the time to offer up this recipe. I must inform you that it is not sugar free. Sucanat, coconut palm, and honey all are sugars that can raise insuline levels. Its best to inform your readers of that since they may make it and serve it to a diabetic who may have complications from eating it. Thank you for your comment, Oriel. You are right about the term sugar free. 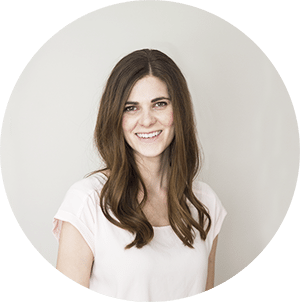 We try to clarify that our recipes are refined sugar free. We don’t use sucanant in our recipes but we do know that coconut sugar is safe for diabetics, which is why it is one of our favorites! :) Those who are diabetic can read about which sweeteners are safe in our Natural Sweetener Guide. Thank you! Hi Robin, the rice flour just helps this frosting to be a nice texture – smooth, spreadable yet firm. 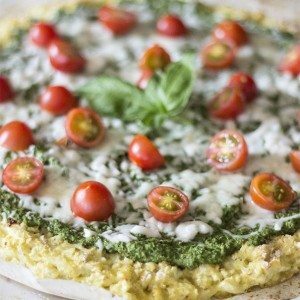 You could certainly use coconut flour! We just found a little bit flour really improves the texture and gives more options for decorating in different ways. Hope you enjoy this buttercream! Can you substitute the coconut sugar for confectioners sugar? And does the frosting hold up well? I am looking to make my vegan friend cupcakes for her baby shower and I am traveling a few hours to get there so I want to make sure they will hold up with piping the frosting on. Yes, you can substitute with confectioners sugar. If you keep the cupcakes cool after frosted, they will hold a pipe beautifully. Be careful if you live in a hot or humid climate to keep them really cool.. You can also add a bit more sugar to get that desired extra stiffness. Thanks! 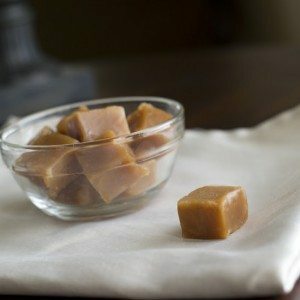 Is it easy to find coconut sugar in stores like Whole Foods? I’ve been wanting to try it out! Do you have s favorite vegan cupcake are you using it for? Do you think this same recipe would work for a vanilla frosting!? YUMMMS! Yum! Sometimes I have a hard time covering up that earth balance ‘after taste’, you know what I mean? 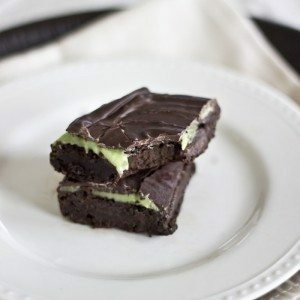 But adding chocolate always does the trick :) This looks SO good. Love my frosting. its bad. I’ve never tried coconut sugar or butter extract, have to try that next time too, I still haven’t found my perfect frosting, can’t wait to try this girls!! 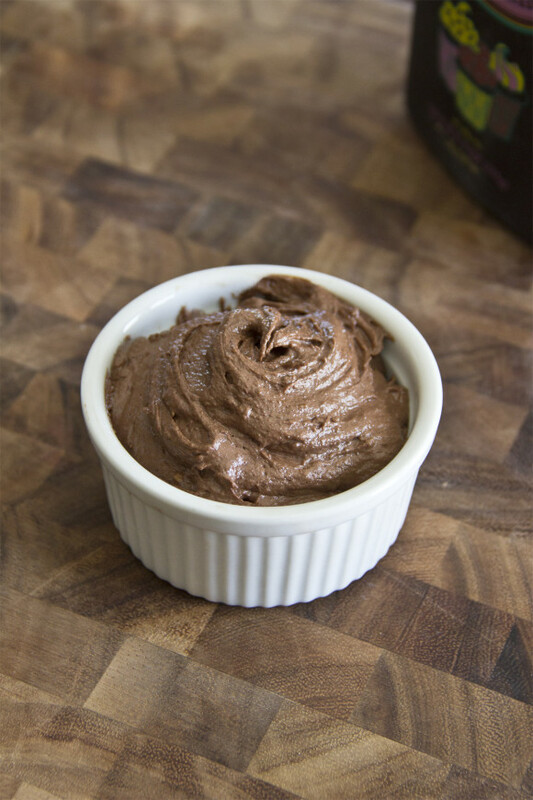 I keep seeing delicious looking recipes with Earth Balance Butter…I’m going to need to try it pronto and first up will be this chocolate buttercream. Looks amazing! This sounds amazing! Do you have a similar recipe for vegan vanilla buttercream frosting?